Welcome to 2013's first polarizing game. You'd think that someone was going around killing gamer's mothers the way people were crying about the changes made in this reboot of the super stylish series. Well, I'm here to give it to you straight. 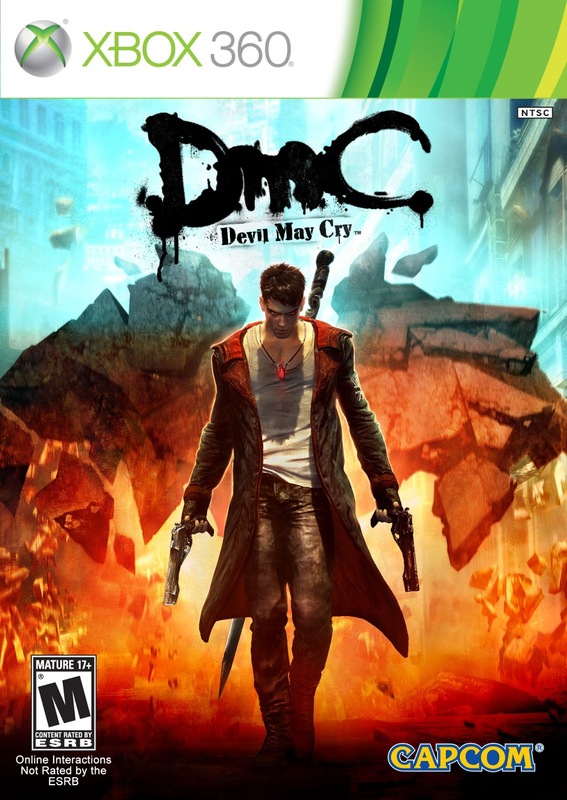 All the whiners can go stick it, as DMC is one of the best reboots out there, as it improves upon a lot of the old series's shortcomings. In DMC, Dante is a Nephilim, having both angel and demon blood. Hid parents, demon father Sparda and angel mother Eva, were subsequently imprisoned and killed, respectively, for committing the act of nookie between races. Not to mention that Sparda was the right hand man of demon leader Mundus, so that didn't help his position at all. Dante grows up not knowing his past, until a psychic medium named Kat visits him to warn him of the danger that's approaching. Then Dante is pulled into Limbo, a parallel dimension to Earth where the demons get to do their dirty work by influencing humans to be their minions. 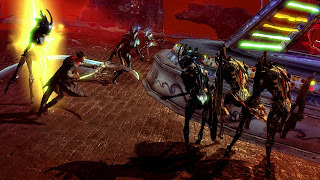 After his Limbo trip, Dante meets his twin brother Vergil, who reveals his past and sets him on the course to kill Mundus and end the demon's reign. The first improvement is in the story itself. 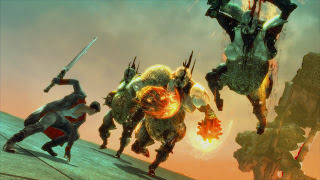 Before, Dante's only real reason to fight was just because he could, all while insulting the enemy as much as he can. Now Dante has real purpose. His parents were taken, his world is secretly controlled, and he gets good bonding time his brother that he hasn't sen since they were both kids. 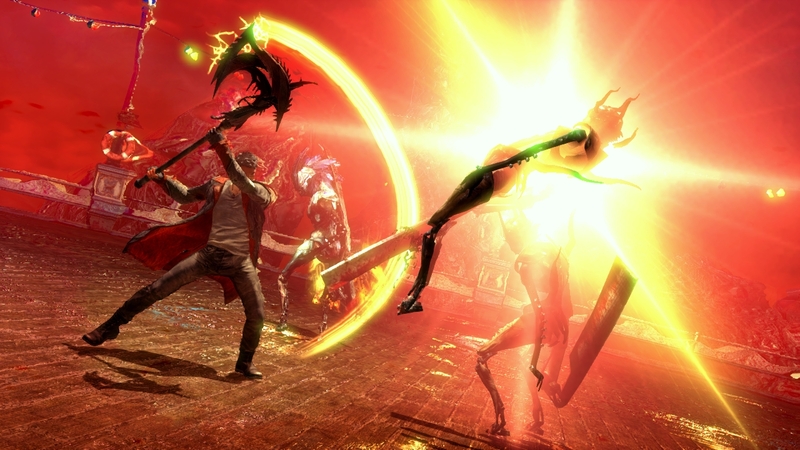 It really adds that bit of substance that makes DMC feel like a complete game. The graphics and sound are beyond great. To start the graphics in Limbo are amazing. The buildings around you are constantly being rearranged or ripped apart to impede your journey, and it happens so seamlessly. Special note goes to the night club stage, which looks like the Matrix on a tab of acid. The music is a good mix of industrial metal and Euro industrial dance music. The metal is handled by a band called Combichrist. Now, I've seen these guys live before,and I didn't really think much of them then. 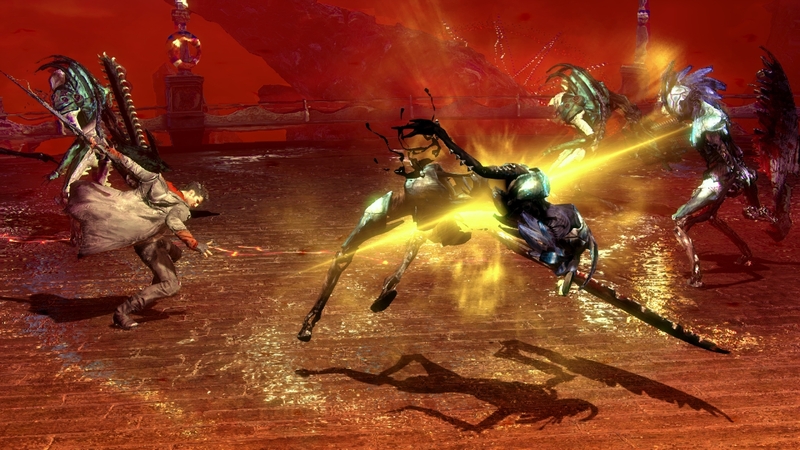 However, in the context of DMC's frantic over-the-top action, it ends up working surprisingly well. One thing that DMC has kept in tact is the over-the-top combo system for killing enemies. Dante still has his sword and two guns that he uses to constantly juggle enemies and achieve a higher combo score. This time around, Dante will acquire several sub-weapons, all of which have either heavenly or demonic properties. You can switch between any of these weapons on the fly to achieve an even higher combo score, or use the right weapon to open secret areas that lead to extra items or secret battle arenas. One area where the game does falter is in it's platforming. While Dante moves fine on the ground, jumping and hitting elevated areas can be a small struggle. The game has added in two whip-like moves, which either pull platforms close to you, or assist you in crossing major chasms. Getting the timing right on these whips can be a struggle, especially with the chasm-crossing ones. Due to the control setup, one wrong slip could send you straight down. There's also a dash jump for crossing pits, but even that can have issues, at is shares a button with the guns. Even then, most of these control problems can be eliminated with enough pactice and patience. 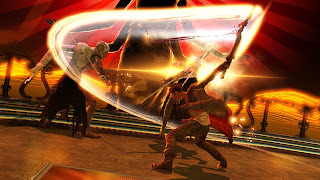 All in all, DMC is worth your money, despite what the old school fanboys say. In fact, I'd go so far as to say that it's a great entry point to the series for DMC newbies.